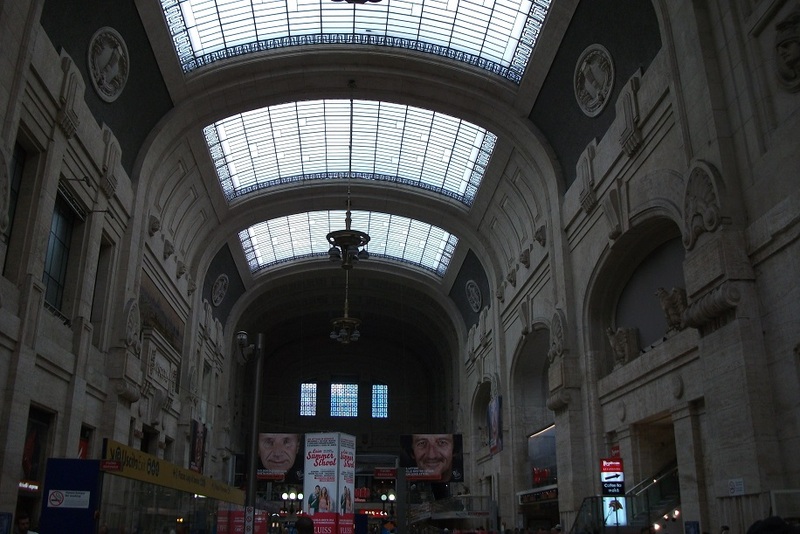 Today we took a train to Bergamo. 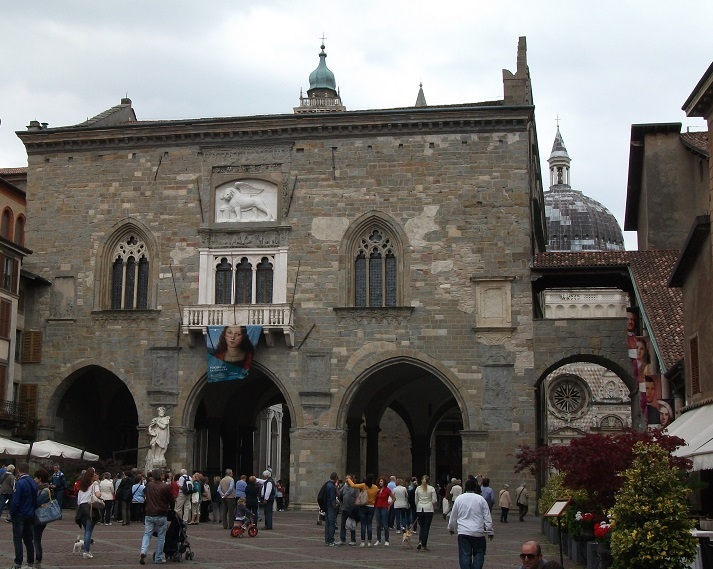 This town has 2 halves; the modern town is on the low ground and the historic town is La Citta Alta, on the hill above. 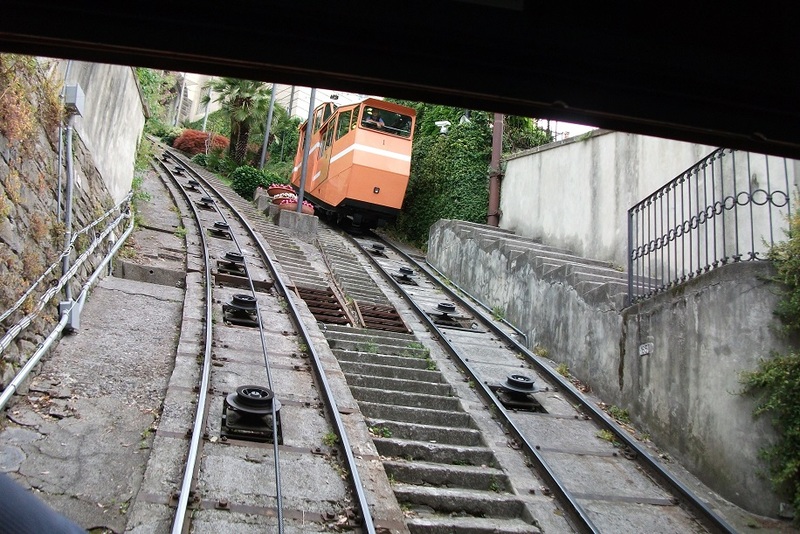 They are connected by road but also by a couple of funicular railways - one either side of the hill. 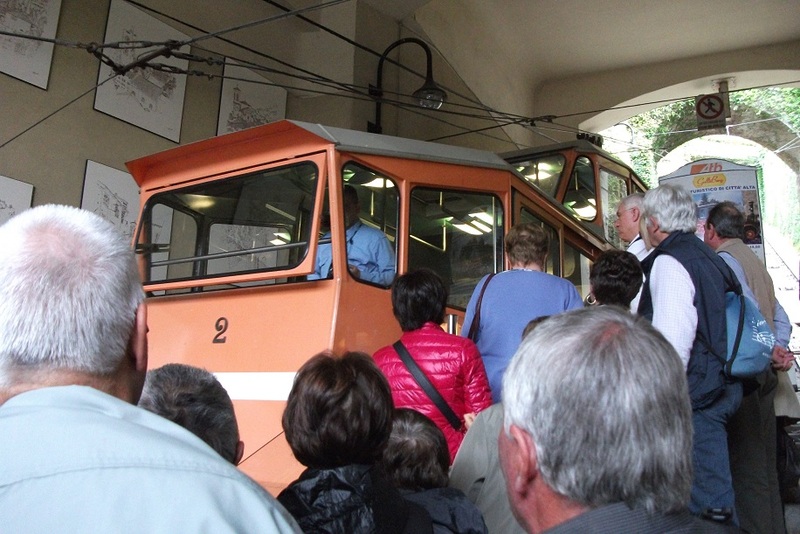 We walked from the train station to the funicular terminus and went up the hill the easy way. 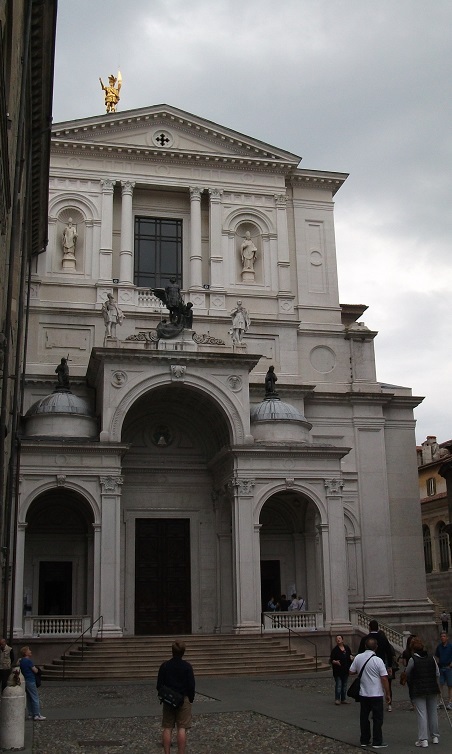 Bergamo's historic centre is clustered on the top of the hill, centred on the Piazza Vecchia and il Duomo. It is very quaint with cobbled streets. 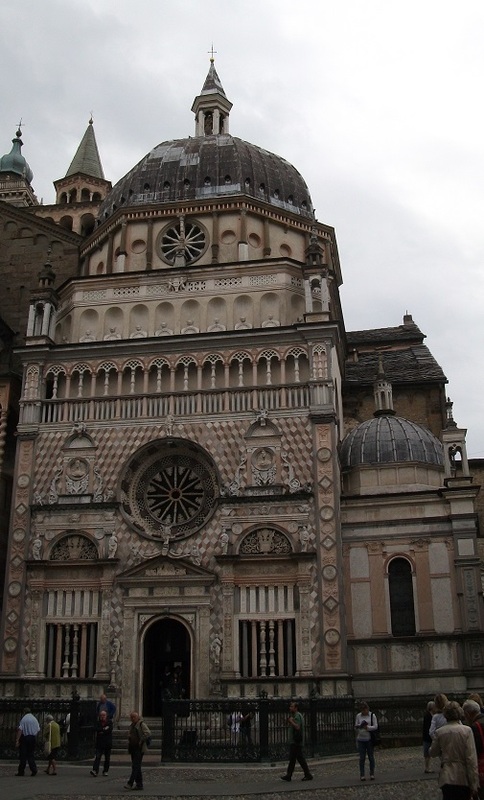 The Duomo is of ancient origin but has been updated regularly. 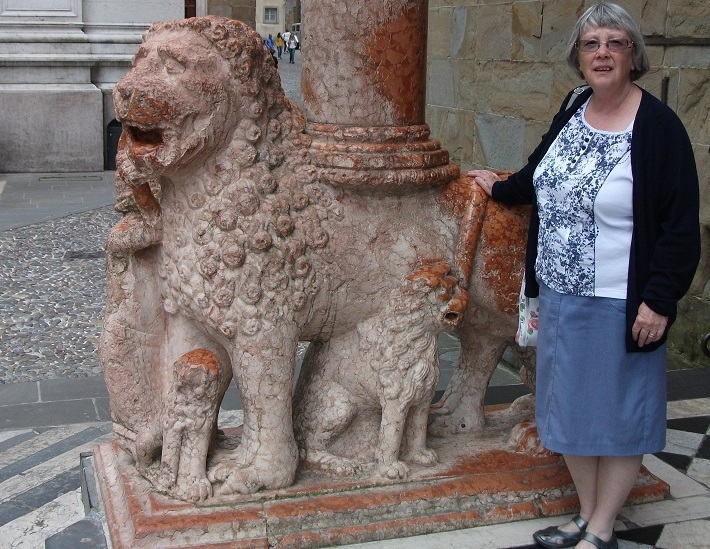 Outside there is a stone portico and inside it is well decorated. 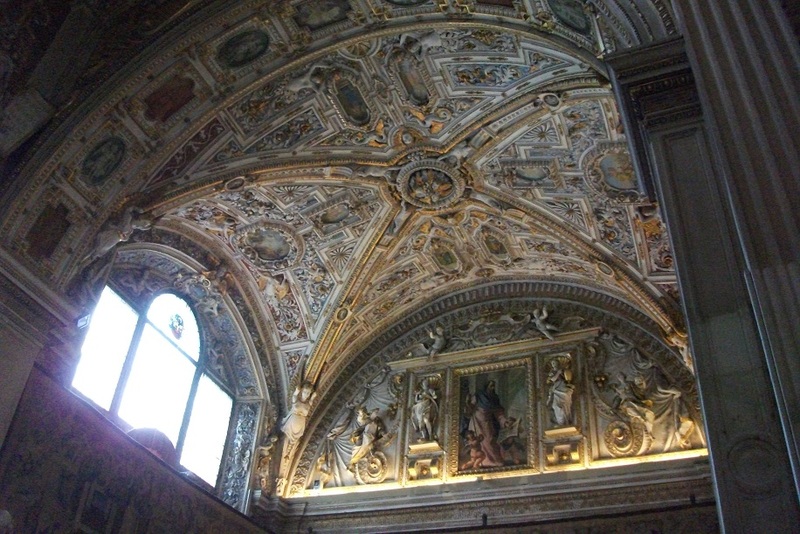 Also lining the piazza are a Baptistry, the Cappella Colleoni, the Palazzo della Regione, and the basilica to Santa Maria Maggiore. The latter has no frontage other than the porch added to the door. 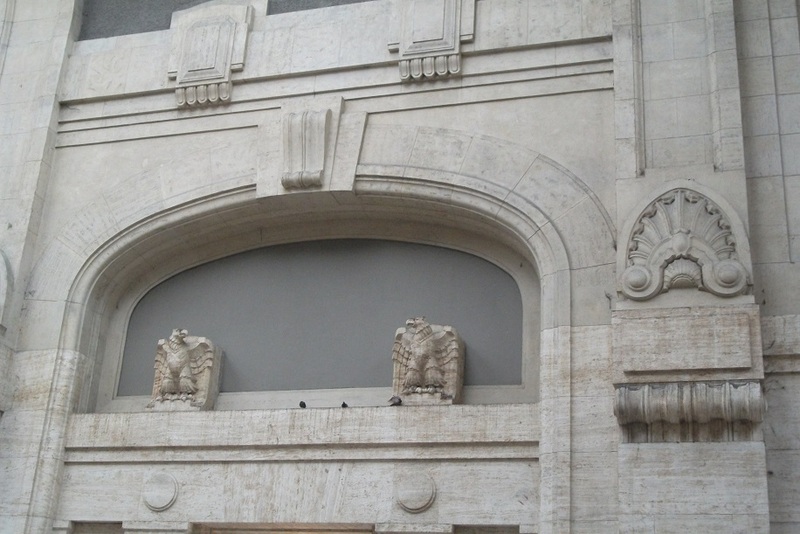 There are twin stone carved lions at the base of the supporting columns of the porch. 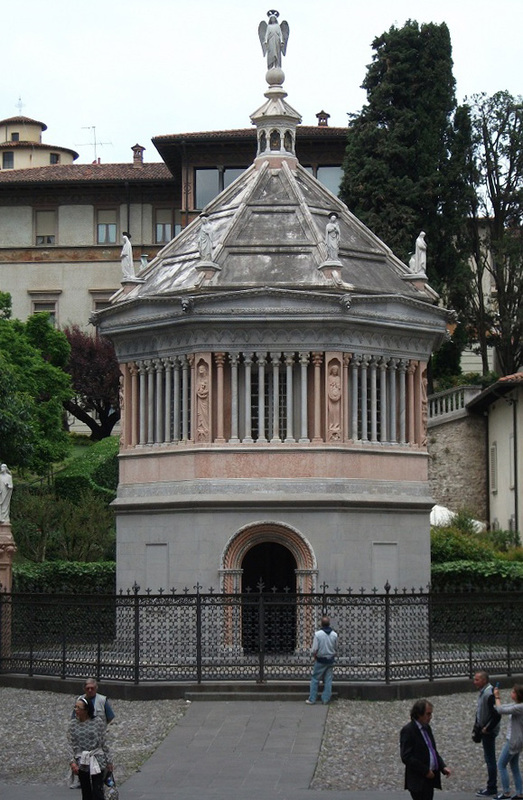 Palazzo della Regione; Cappella Colleoni; Porch of S Maria Maggiore; Duomo portico; Baptistery. 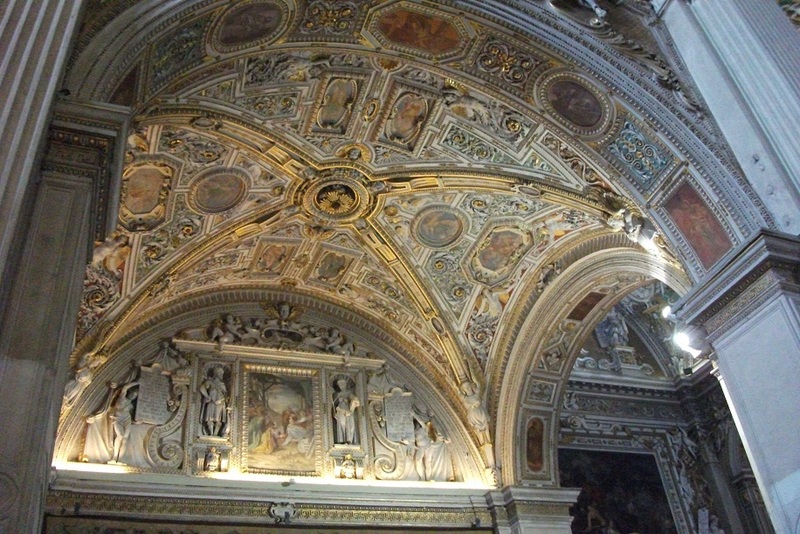 Interior of Duomo showing highly decorated ceilings and arches. 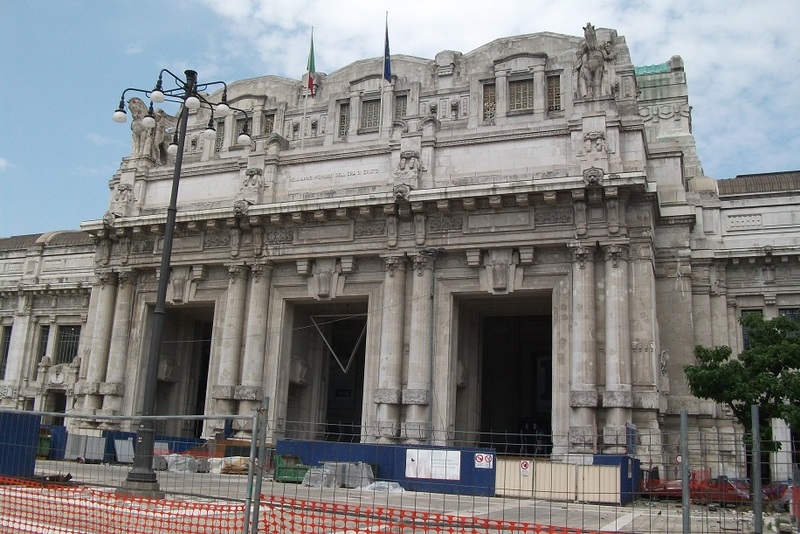 One the way back I took photographs of Milan Central Station.